Your Green Arrow inspired Halloween costume wouldn't be complete without his trusty bow and arrow. This Arrow & Bow Set includes a plastic bow with a green rope bow string, and an arrow with a brown plastic shaft and foam head and fletching. 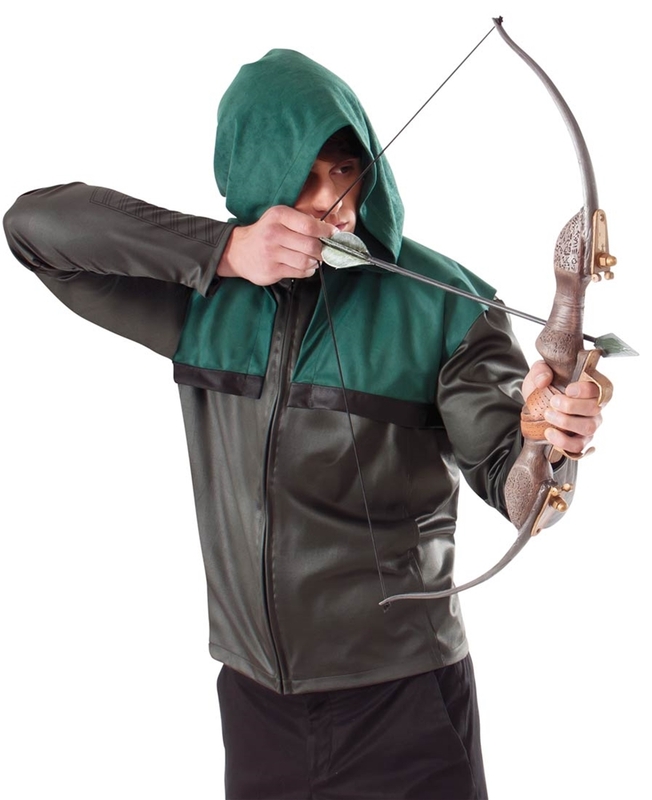 Perfect for your Green Arrow Halloween, Comic-Con and cosplay costumes, this bow and arrow set can also be used for your warrior costume this Halloween.